So, You're a Writer...: Fall of Borders—Rise of New Adult? Fall of Borders—Rise of New Adult? I dutifully marched into my local Waldenbooks last Thursday, ready to say the first of my goodbyes, but I just couldn't bring myself to do it. The place was still business as usual, the distinct scent of unturned pages clouding the air. All of the workers, though helpful, gave smiles that didn't quite reach their eyes. How was I supposed to induldge in my own pity party, when I knew they would be the ones suffering the most at the end of the day? As if sensing my turmoil, the woman behind the counter struck up a conversation. "You know," she said. 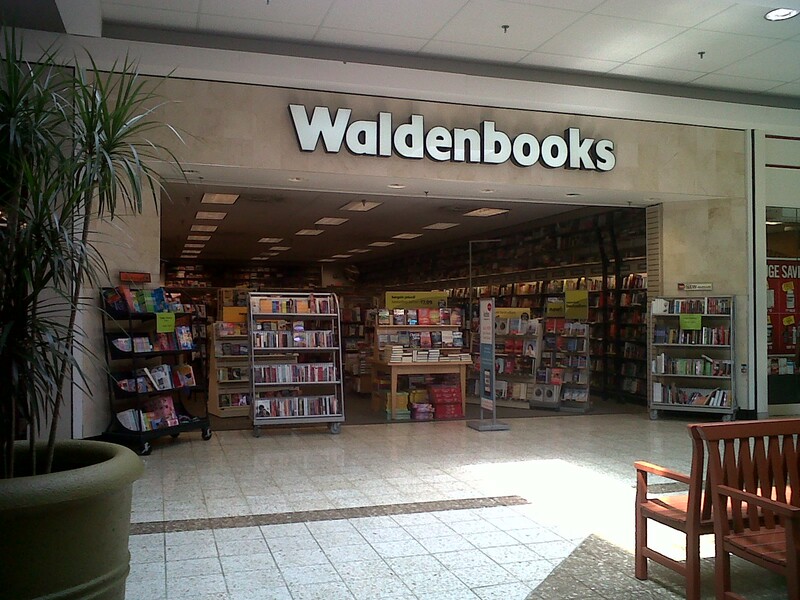 "Waldenbooks has actually been around a lot longer than Borders. It's a shame to see this place go." A shame? That was an understatement. Still, I couldn't help but admire her attitude. She'd only been at that particular location for a few months—since her last store shut down—but she'd been with Waldenbooks since 1993. The changing business environment didn't diminish her passion and loyalty. Even as the ship was going down, she still had the pride to sing its praises. Kudos to her. So, what does Borders' bow out mean for the rest of us? For me, the closest bookstore is now an hour's drive in either direction. Unless I want to empty my gas tank, I'm going to have to rely on the internet a lot more. That's got me thinking. Physical stores simply don't have enough room to allow every age range a separate section. Is there a big enough market out there to justify New Adult as a genre term? I've seen plenty of forum threads and blog posts over the years, pleading for "traditional college-age" fiction. (Even fun debates on the matter.) No matter what the naysayers spout, I contend that it is a big transition in life. The sudden rush of freedom affects people. Old relationships are tested, priorities shift, and new goals come into focus. Every day is filled with fresh interaction and new experiences. No one is going to convince me that New Adult can't be "coming of age" fiction, sorry. For now, as far as queries are concerned, I'm fine with calling it Adult fiction. If the MC is out of high school, it's a bit of a stretch to call it YA. So, to me, Adult seems like a safe bet. However, now that we're seeing more and more brick-and-mortar stores overshadowed by the e-revolution, is it time for a change? Now that there's ample categorical room online, can New Adult (or whatever they end up calling it) finally step into the spotlight? I say yes. What do you guys think? P.S. If you have questions about Borders' bankruptcy proceedings, you might want to look here. The closest bookstore is an HOUR away now? Wow. That's crazy. Sorry to hear it! We took advantage of the impending closure of our 'local' (30-minute drive -- ah, rural life!) Borders this weekend to pick up a bucket-load of books. As the Death Spiral goes on we'll go back. There's a sort of uncomfortable joy in this -- it's nice to get books on sale, but it's sad to see people who will soon be unemployed. As to the question of 'New Adult' -- I'm sure there's 'room' for it, I'm just not sure it's a good idea. I feel that the continued 'compartmentalization' may actually make it more difficult for people to find good books. First of all, it is terribly sad to see all these book stores closing. I admit to ordering quite a bit online, but I also love going to a book store and simply browsing. Running my fingertips along the spines, feeling the weight of the book in my hands, the crackle of the spine as I open to the first page...I love it. I don't want it to go. Second of all, I think there should definitely be a New Adult. I mean, gosh, I grew SO MUCH between high school and mid-twenties. The mid-twenties is a whole different experience than the 30's. It's hard to lump everything together once the MC gradatuates high school. I had a hard time defining one of my books because the MC is 19...but I ended up calling it Women's Fiction. @JeffO - I can definitely understand that sentiment. I'm glad you were able to score some great deals. That's one plus we can take away from this situation. :) Thanks! When my local one closed down I picked up a whole lot of books at 70% off... and then a different bookstore opened up in its place. This surprised and delighted me. In hindsight (and courtesy of a post I found elsewhere, linked below) I am disappointed to find that we really didn't score any deals. Border's apparently jacked up most of their prices before discounting, so some books were selling for less a few weeks ago than they are now at 10% off. Don't I feel like an idiot? Wow! That's terrible, Jeff. I wonder what kind of last-ditch purpose that hike could possibly serve now. Yikes! Thanks for sharing the link. I say yes... but I hope there will always be book store, because I won't read my books of a screen. The Borders liquidation has nothing to do with e-books, and everything to do with corporate, no matter how much they'd like to shift the blame. They got away from their core product and core clientele, then rather than scale back, they tried to make things better by going bigger and stretching their resources further into endeavors that any tenth grader could have told them would fail. Had Borders run its whole company the way Waldenbooks ran its part of the chain, the company would still be solvent. WHAT?! I haven't been the mall in months. 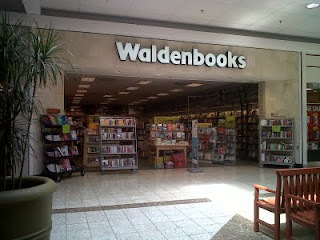 Walden books went out of business?! I remember talking about this but it didn't click until just now. I have bought so many things from that store.